Vietnam has been deservedly gaining plaudits from visitors since re-opening its doors in the early nineties. The unbridled optimism and ‘can-do’ spirit of this nation is an inspiration to all who come and today’s traveller will witness a country that has a blend of ancient culture and modern progressiveness. 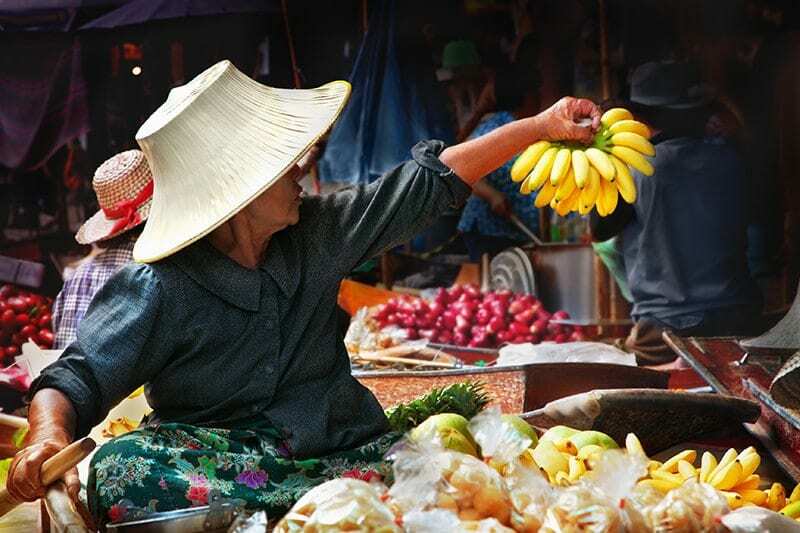 Some of Asia’s finest cuisines, most dramatic landscapes and elegant colonial cities are to be found here and Vietnam also has miles of beautiful beaches where boutique hotels and charming guest-houses are to be found. Many visitors start at the ‘top’ with Hanoi and as a first glimpse of Vietnam it is a great place to begin with its Old Quarter and many places of interest including Ho Chi Minh’s Mausoleum, the Presidential Palace, the One Pillar Pagoda and the Temple of Literature. A 4-hour drive takes you to the visually stunning Halong Bay where you can cruise amongst the limestone ‘karst’ pinnacles and stay overnight aboard a traditional ‘junk’. What to do: City tour, Kayak inside the hidden caves of Halong Bay. 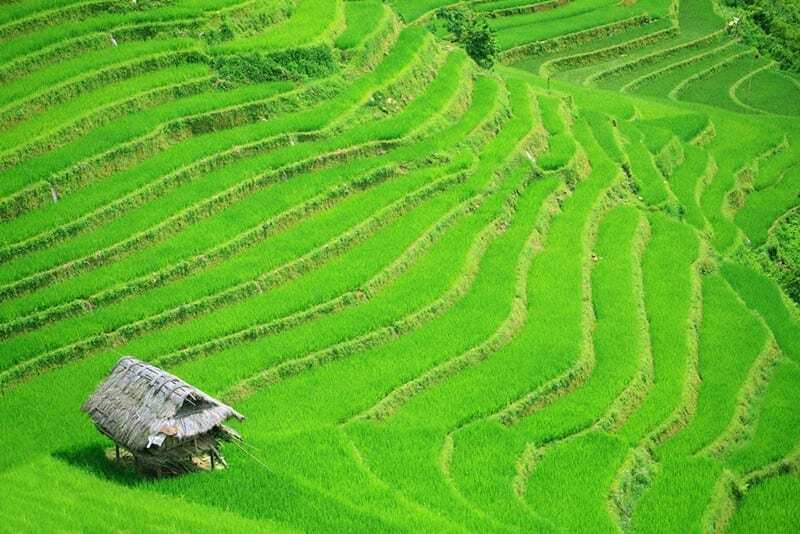 The hill country of Sapa northwest of Hanoi offers superb trekking amidst spectacular scenery. It is home to colourfully dressed ethnic groups and the hikes pass through jungle, skirt around terraced paddy fields and over ancient mountain passes. A typical 5-day itinerary starting and ending in Hanoi allows for a trek through the remote villages of Ta Van and Dao Lech with a stay at an ecolodge in Supan boasting unsurpassed views of the surrounding valleys. The mighty Mekong River finally dissipates its strength into its sprawling Delta and here amongst the paddy fields and swamplands, isolated communities are linked together only by boat journeys between the various settlements. 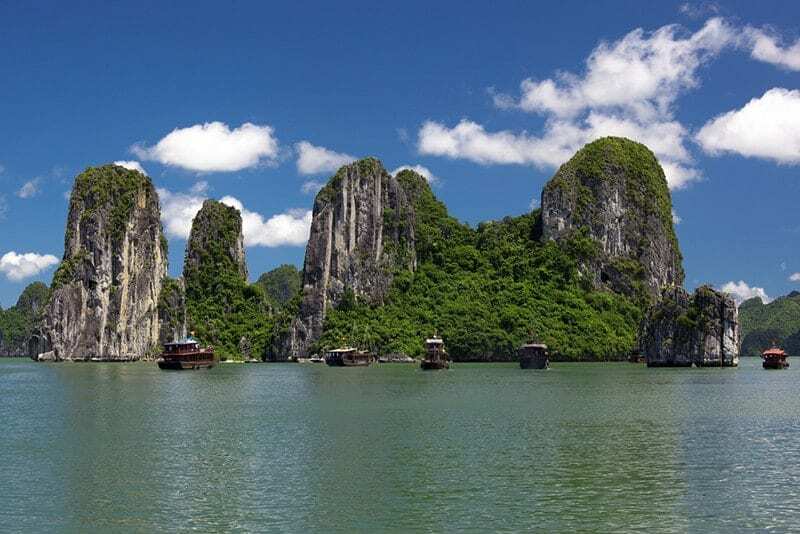 A river cruise here has been likened to stepping into the pages of a geography book and there is endless interest from the floating markets to the cottage factories producing rice paper and coconut candles. A visit too to Dong Hoa Hiep Island offers the chance to see the daily life of local villages amidst stunning scenery. What to do: Boat trip, markets, village visits. Reached either by a short flight from Hanoi or an overnight train journey along the Reunification Express, Hoi An is a charming port on the South China Sea. It is best explored by a walking tour that takes in its ancient centre, former merchants’ houses, its 400-year-old Japanese Covered Bridge and colourful city market. It is also the base for visiting the ancient Champa site of My Son which can be reached by American jeep travelling on back-roads through endless rice fields to reach its jungle setting. What to do: City tour by bicycle, cookery classes. Vietnam’s old imperial capital, Hue straddles the lovely Song Huong (Perfume River) and despite being heavily bombed in the American War many of its ancient tombs survived. Its impressive fortified Citadel fared rather less well but it is still a wonderful monument to the Nguyen Dynasty that ruled from 1802 to 1945. A cyclo ride through the ‘Old City’ to Tinh Tam Lake where the Emperors used to relax is a great excursion which can also be extended to visit the 21-meter high Thien Mu Pagoda, constructed in 1601. Known also as Ho Chi Minh City, Saigon is Vietnam’s largest and most vibrant city with a whole string of sights to visit including the Presidential Palace, the Old Saigon Post Office, Dong Khoi Street, Opera House and City Hall. There are also the famous Cu Chi Tunnels – an incredible 250km underground network of passageways used by the Viet Cong. The best time to visit is between September and April. The north can be chilly between December and March so bring extra layers. The months of June to August tend to be the wettest but it is still possible to enjoy a trip to Vietnam during this time as long as you are prepared to cope with higher humidity. Avoid travel during the Tet holiday which takes place in January and February. Tet is Vietnam’s Christmas and New Year’s celebration rolled into one and consequently accommodation and transport gets fully booked up at this time. Cambodia’s magnificent jungle-clad ruins of Angkor make a natural continuation to a North-to-South journey through Vietnam and a few days to explore the archaeological wonders of this sprawling city complex makes for a fitting finale to any visit to Indochina. Nomadic Travel proudly supports WaterAid whose mission is to transform lives by improving access to safe water, hygiene and sanitation in the world’s poorest communities. Copyright © Nomadic Travel Ltd. 2019. Registered Company 3897925.